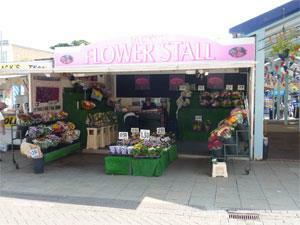 Jack's Flower Stall sells a selection of cut flowers & potted plants. A range of flowers, plant baskets & arrangements are available and can also be made to order. A great place to pick up a floral gift or something to brighten the home. On arrival in Great Yarmouth follow signs for the Town Centre. The Market Place is accessible on foot from several directions, with Market Place car parking accessed via The Conge. Plenty of alternative parking is available nearby.